It is very easy to get the Text from clipboard via calling the Clipboard.Read invoke node. 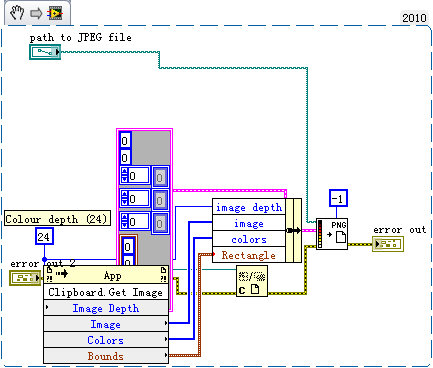 If want to get the image from clipboard, the task is not so easy. 2 ways can reach it. 1. Try to call the Clipboard.Get Image invoke node, it is similar to Clipboard.Read. This is the private invoke node,that not support when build the exe file and can not be found on the block board directly. There are many issues report on the forums.ni.com and Lavag.org. 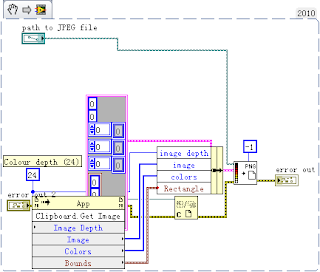 Even this became to public node on LabVIEW2012, but seem that still some failed examples happened and were reported. A part of posts as below: on LAVAG, NI forums search Clipboard and get more topics. 2. Try to call .net node and complete this function. After verify, it is working well when build the exe file. 3. The 3rd way to get the image indirectly by copy the screen.